The runtime process starts indexing the VM file system. The indexing procedure is carried out in parallel with the backup procedure. If indexing takes long, Veeam Backup & Replication will not wait for the indexing procedure to complete. It will start copying VM data and continue file indexing inside the VM. 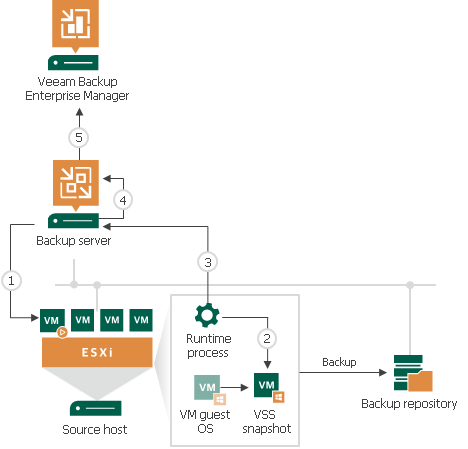 If you have enabled application-aware processing for the VM, Veeam Backup & Replication performs indexing using the VSS snapshot, not the VM guest OS itself. As a result, the created file index exactly reflects the state of the backed-up VM.